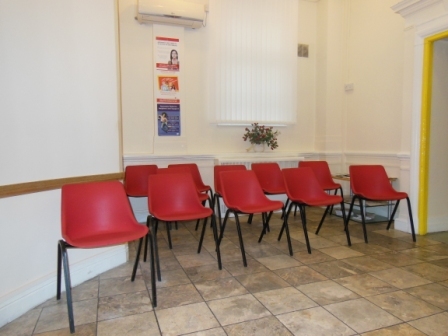 At this practice we are commited to giving the best possible service to the people of Haringey and Tottenham. Working as a team, doctors and staff are here to give you the very best in primary care. The practice will treat all patients as an equal partner in the care and attention they receive. We offer a full range of primary care services including a number of clinics and patient participation groups. Please click here for our Practice Leaflet. The practice area covers Haringey: N4, N15, N17,N16. This practice is committed to improving the services it provides within the National Health Service. This can be achieved by working together. Help us to help you. You will be treated as an individual and treated with respect at all times, irrespective of your ethnic origin, religious belief, personal attributes or the nature of your health problems. In return we ask you to treat the staff in the same manner. Following the discussions you will receive the most appropriate care, given by suitably qualified people. No care or treatment will be given without your informed consent. We will give you full information about the services we offer. Every effort will be made to ensure that you receive the information, which directly affects your health and care being offered. In the interest of your health it is important for you to understand all the information given to you. Please ask questions if you are unsure of anything. Subject to any limitations in the law, you have the right to see your health records, which will be kept confidential. We want to improve the level of service we provide and therefore welcome any comments, suggestions or complaints you may have about the care we offer. People involved in your care will give you their names and ensure that you know how to contact them. Please inform us immediately of any changes in telephone, names/addresses. To help us to help you, please tell us details of your past illnesses, medication and hospital admissions and any other relevant details. As a Carer, you are also entitled to have your needs assessed by Adult Care Services. A Carer’s Assessment is a chance to talk about your needs as a carer and the possible ways help could be given. It also look at the needs of the person you care for. There is no charge for an assessment. If you are a carer, please ask at Reception for a Carers indentification and referral form which you can complete to let us know about your caring responsibilities.